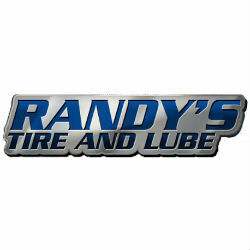 Welcome to Randy's Tire & Lube. We are conveniently located right off Hwy 1 in the heart of Lugoff, South Carolina. We are family owned and operated, and base our business on customer satisfaction. We offer a wide variety of services at affordable prices, such as oil changes, brake inspections and service, alignments, and other valuable auto services. Please use our website to see a list of services we offer or get a quote on tires. We also participate in a wide variety of corporate fleet programs. Please contact us concerning your fleet program today.